Safemium: Multifunctional safety products for Premium vehicles, is one of the Etorgai strategic projects that began in May 2015, with the participation of 7 Basque companies (AFM, CIE Orbelan, Cikautxo, Maier, Gestamp, Tumaker and Segula Tecnologías) and 7 R&D&I units from the Basque Science and Technology Network (Cikatek, IK4-Cidetec, Autotech, Fundación CIE, Leartiker, Azaro Fundazioa and Invema). Safemium is a 32-month project with a budget of 5.5 million Euros. Its objective is to develop multifunctional safety products for Premium vehicles by researching into the compatibility of (thermoplastic and thermostable) materials, and combining injection processes in agreement with an advanced manufacturing strategy. 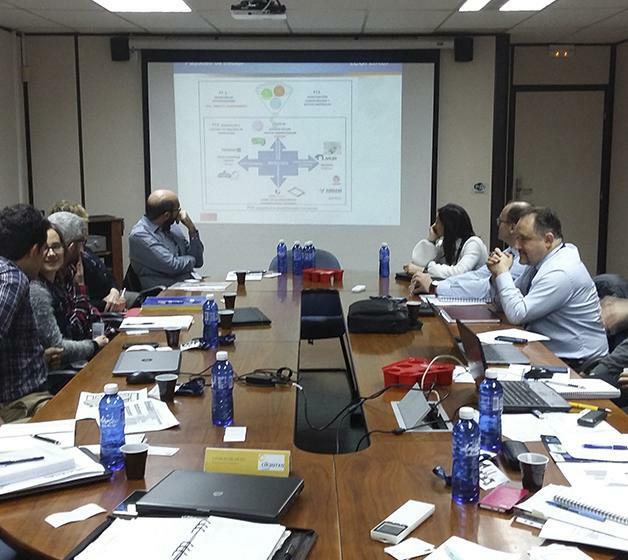 The first meeting of the consortium was held on 17 February at the facilities of the lead partner, Cikautxo. The industrial partners presented the advances made over the first year and exchanged problems and experiences. The meeting also helped establish collaboration bonds among the partners as well as to plan a calendar of technical meetings that will be held throughout the duration of the project. After defining the demonstrators, work is being carried out on defining the desired technical specifications, to later develop the prototypes with the manufacturing process hybridizations and materials that will be studied and developed within the framework of the project.